You brought the pizza, right? 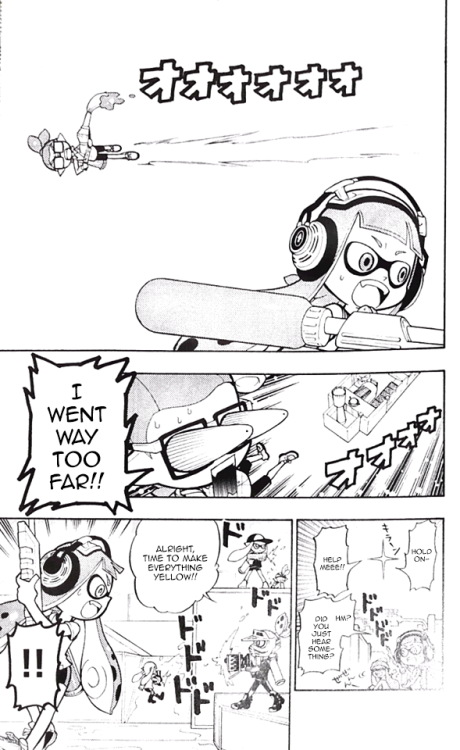 Excitement for Splatoon is building like it's your upcoming 8th birthday party at Chuck E. Cheese's all over again, and some recent tie-ins are only adding to that sense of fun. 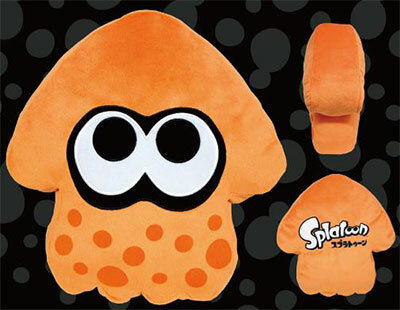 Interested parties who haven't pre-ordered yet might want to consider heading to Target for their squid-based needs, if possible. An allegedly revealed circular for next week shows that those who pick up Splatoon at the store might also be able to score an exclusive squirt gun as well. Supplies are expected to be limited, and this is also the same day the exclusive Jigglypuff amiibo will release, so consider going early and anticipating a bit of chaos. 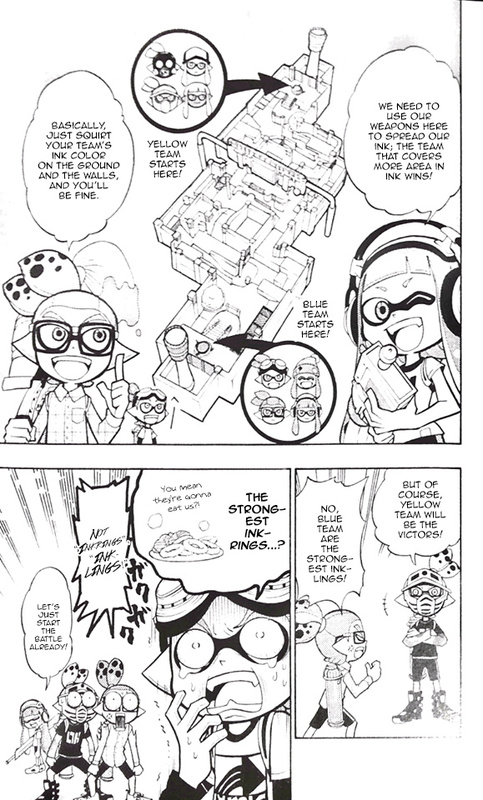 Meanwhile, over in Japan, the June issue of CoroCoro has featured a short and silly manga with a basic overview of the squids and their turf wars. 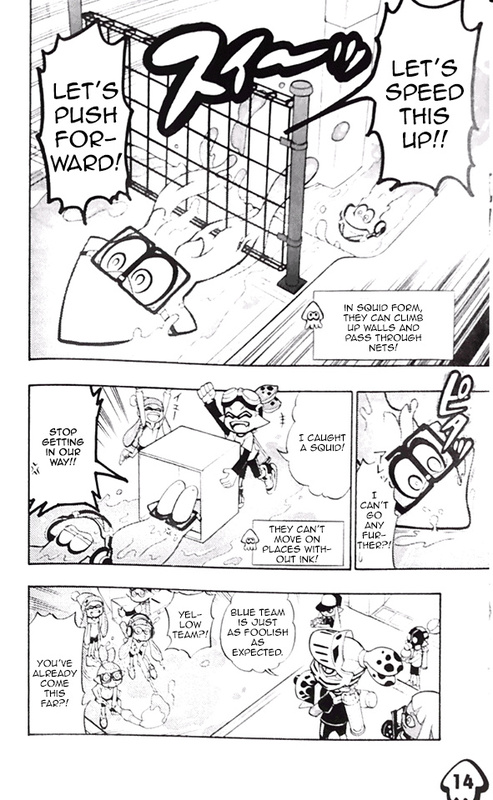 A fan translation has been made available, which you can find at the second link or in the images below. 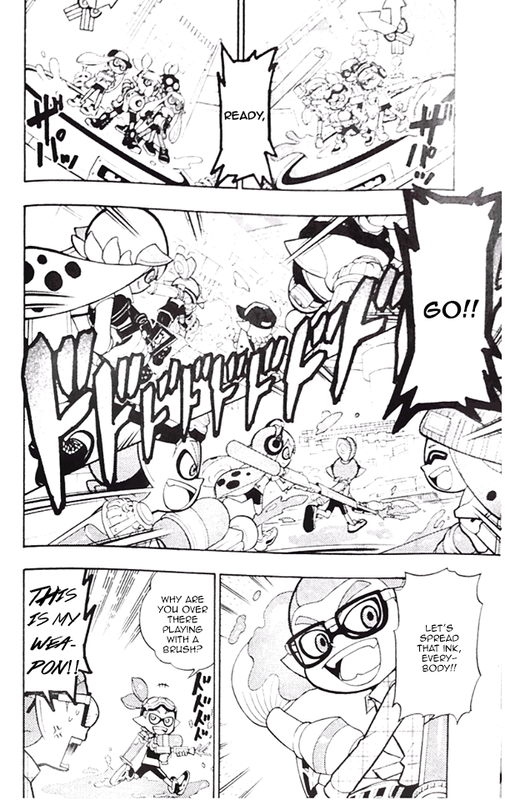 Is anticipation for Splatoon making you so giddy you might just blow chunks in the ball pit? That's gross, and why we don't have ball pits anymore. But still, let us know below! I couldn't get into mangas, but I wouldn't mind getting me some this myself. Now I have it preordered and I anxiously await to play. Splatoon everywhere!! I haven't seen a Nintendo game pushed so hard but I guess you kinda have to for a new ip. why do i get the striking feeling that splatoon fans will eventually end up on the same controversy level as mlp, furry, sonic and fnaf fans? @Rixor13 They already are on 8/v/. @Rixor13 To be fair, most of those fandoms have other issues then just a "stigma". Sonic Fandom = The rebelling ones who cannot be pleased. FnaF = The tinfoil hat wearing, riddle obsessed fictional crime solvers. Furrys = Cosplayers thrown into the same locker as some rather weird fetishists. MLP = Fans of a series not meant for them, pretending its the second comming and holds a much more deeper meaning then it actually does. Pick your poison i guess. 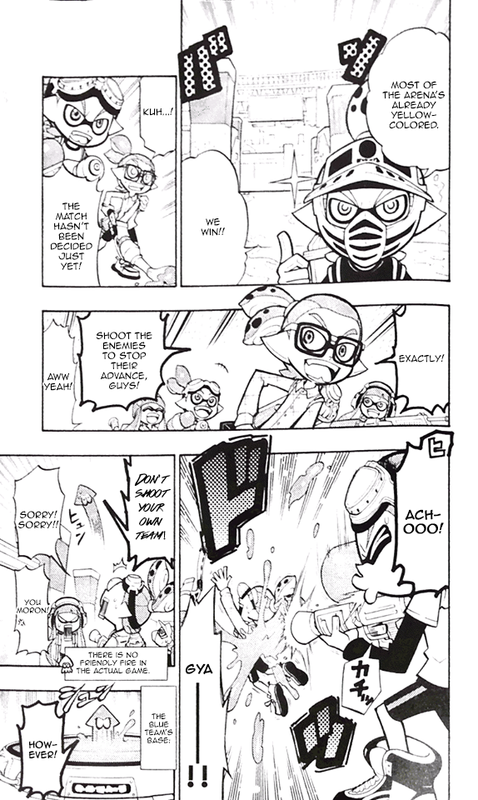 For me, Splatoon is the first online shooter that remotely interests me in ages. I actually dont really like the character design all that much, but it certainly has this "Nintendo Charme" to it, that makes it all at least fun to watch. 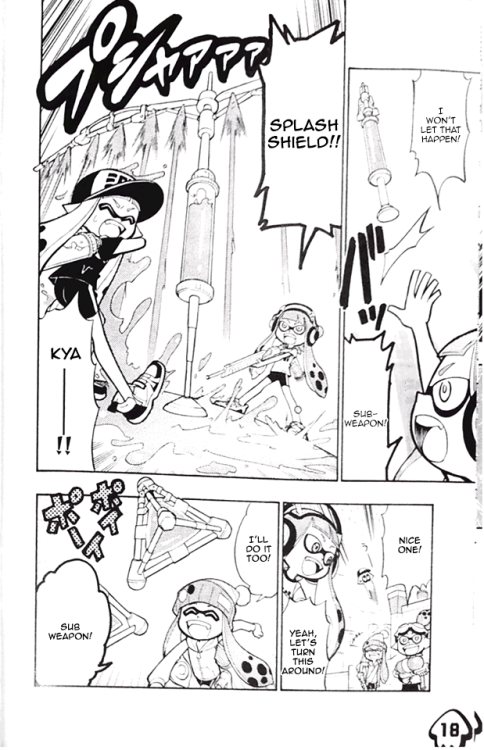 It's nice to see a Fan-Translation of the manga, I only had a rough guess of what was going on in the non-translated version. Make this an animé right now. Make up for that awful Squid Kid Advertisement. 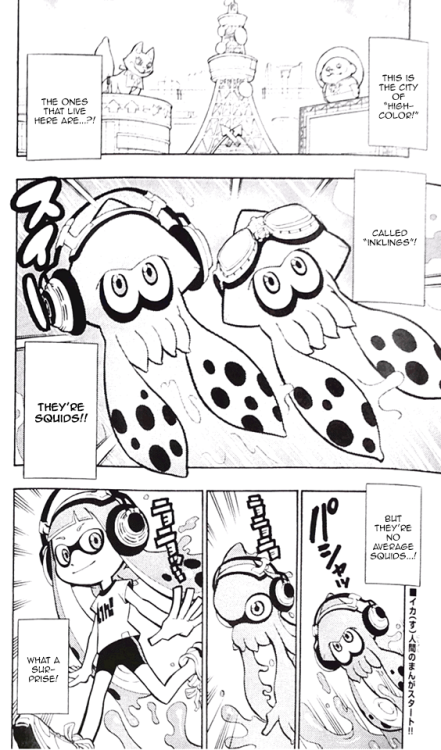 Hype levels for splatoon is at a weird time high. @JakeOfAllTrades I want at least a one-off special soo bad. This looks great for an anime type thing. If they made it in the same style as the Animal Crossing movie it'd look spectacular! @JakeOfAllTrades But we will then run the risk of squi being the theme song opening for it. @Qun_Mang Hmm, I wonder why THIS page was left out? @Captain_Toad Couldn't say- too much of an instruction break? @Qun_Mang The paint brush is one of the roller weapons. It's being added post launch though. The weapons featured in the Global Testfire are the defaults of the four weapon types. A free water pistol? Not exactly the free amiibo I was unrealistically hopeing for to justify the price w/o an amiibo being the same as the price bundled w/ the amiibo in the UK. That or at least a bundled discount w/ the 3-pack of amiibo. I guess that's what happens when Nintneod doesn't make enough amiibo. So who is planning on going to Target next Tuesday just to see if they have the game on the store shelves even though their system won't allow them to sell them? Kind of become a tradition of mind, probably not making me any friends over there. Have to go though just in case they accidentally put the amiibo 2 packs out as well. Doubt I could buy those either - and I'm not planning on spending another $35 on top of the $60 game, that's just freakin' nuts, about $100 w/ tax even after my 5% Red card discount. Water pistol. Well at least my son likes water pistols. Wonder if it's a good 1 or one of those 3 squirts and broken like the $1 store? @rjejr if you buy this game @Toys R Us you can get an amiibo for $5. I gave up looking for a decent pre-order bonus and just ordered it from Costco. Their games are always a few $ off, worth it if already a member. Only $53 instead of $60. $2 shipping though, so compared to Amazon or any other place with free shipping it's only $5 cheaper. I got Mario Kart 8 last year from Dell due to a free $25 gift card with purchase (and the free game from Nintendo helped too). No such luck anymore- they have $15 cards now, and those only if you're a member. @Uberchu - Thanks, thats more in line for what I was hopeing for. Already spent $1 on my $5 pre-order card at Target. Guess I could always use the $5 GC on the amiibo if I really wanted to. This is all sorts of adorable. 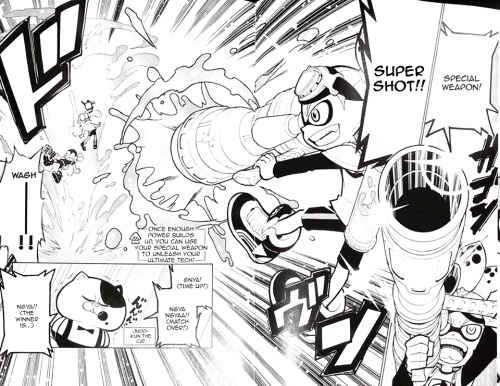 I want that manga! A cartoonish comic how unoriginal. Well I already preordered at GameStop so I think I'm good with the Smash Bros costumes. Oh my god, this is AWESOME! Hopefully, there's gonna be more at some point! Its so lame that all the best preorder deals on Nintendo stuff comes from USA stores. I'm getting the shakes, I knew I was going to be hooked on reveal and the second testfire began I was heavily addicted. I don't care about the wwater pistol, as even when summer gets here in Australia I will still be inside playing Splatoon. 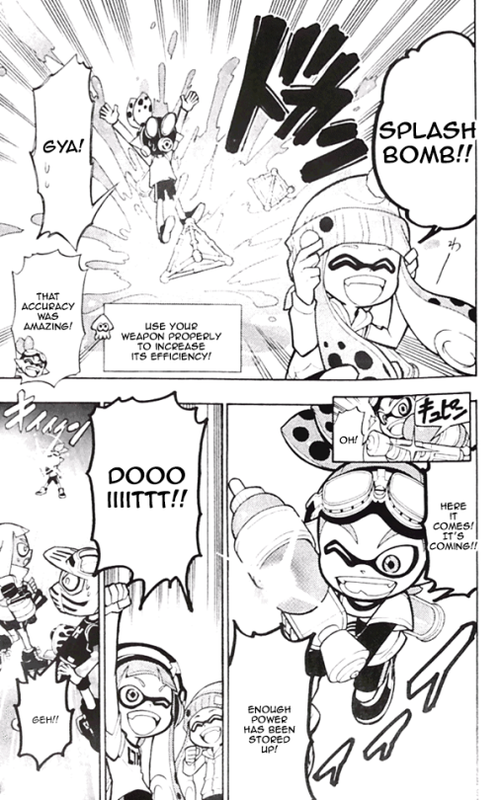 That smiling girl inkling in the manga is just adorable. @HorniiGremlin - Im not sure how many "pre-order" deals Ive seen on any Nintendo stuff , most of it is "while supplies last" kind of deals. And I'd trade my $60 game and free water pistol for the UKs $60 game and squid amiibo in the box. 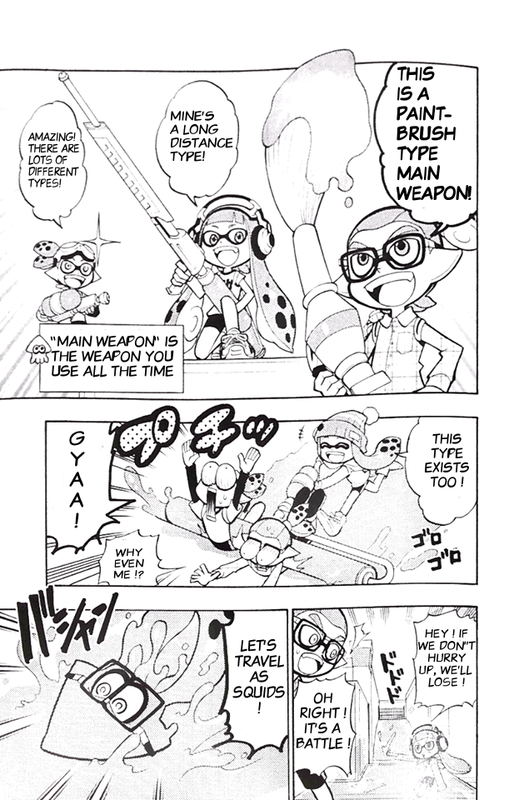 @rjejr Do america not get the Squid Amiibo? @HorniiGremlin - Yes, US gets the squid amiibo, but I've only seen it in the 3-pack. Which doesn't make any sense to me that they would sell the girl and boy separately but the squid only in the 3 pack. Who is only going to buy 1 Splatoon amiibo when each opens 20 different missions? All or none I would think. I'm currently not getting any due to $. The UK getting the squid in the box means they can buy the other 2 separtly, or not at all if the squid missions and gear arent' to their liking. The important thing to me is it's the same price in the UK w/ the squid amiibo as in the US w/o the squid amiibo. 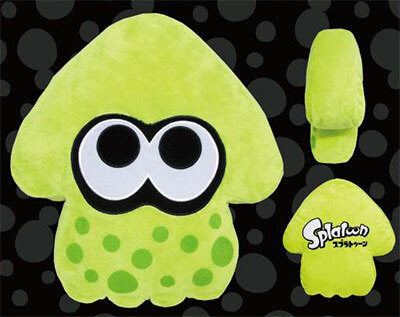 And probably if I were going to buy just 1 it would be the cool looking squid. Nintneod must know this so it's only available in the 3 pack, so I probably won't buy it. Maybe when some retailer has a 1/2 price sale and I can pick it up for $17.50, if the stock exists. Oh, man. I'm unemployed. Amiibo is mean. I don't dare miss trying to pick up the amiibo and I have a pre-order card for Splatoon that I think I've had since Summer of last year? But no $$$. It would be one thing if I had any confidence in the Amiibo stock. But the 3-pack is just the thing to make in limited quantities as it is more expensive and less likely for everyone to be interested in but necessary for collectors. So even if Nintendo gets on their game a bit better with stocking rarer amiibo it's still likely to be very hard to get. Also, how should we evaluate how much we want the challenges? It's already hard enough to evaluate the content overall as much of it is rolling out slowly and details are slim on single player and how much variety there is in 1v1. 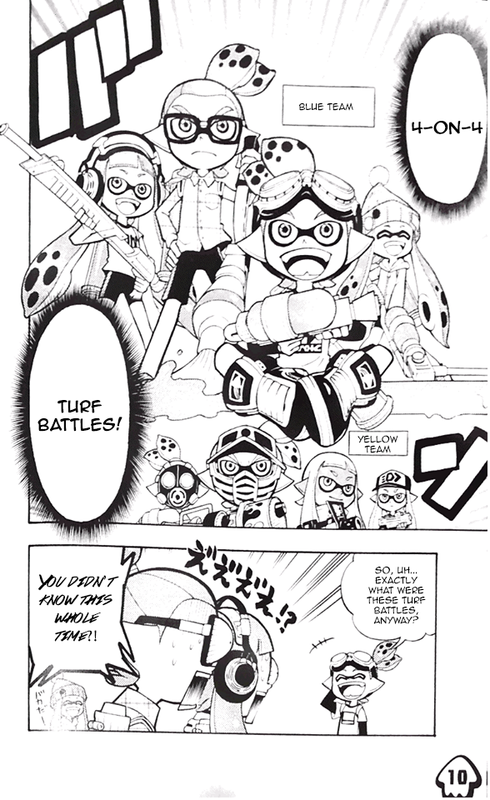 The upgrades and customization does seem deep enough for Turf War to stay exciting for a long time to come though. Looking back, the limited times of the testfire were genius. Even if people didn't get to play it has created a ravenous vocal group to get others intrigued. But one hour is only time enough to scratch he surface even if you did play. Well done, Nintendo, but I'm feeling a bit abused as a fan. So, what do you think @rjejr? Would you prefer a paid membership to cover costs of servers for online and lower cost games? Or do you think this is the better way to include the costs in the price of the game and amiibo. I mean that is probably the best theory going as the US is bound to be the heaviest load on the servers by far. This releases 2 days after a big interview for me. Depending on how it goes I might just buy these and keep them sealed until I find out how it went. Then, I'll either open it out of celebration or sadness. lol. @aaronsullivan - Good luck on the interview. It's an online shooter, it should be $60. But the rest of the world getting it at the same price as Kirby and Capt. Toad annoys me. Had Kirby and Capt Toad both been $60 in the US instead of $40, or the rest of the world getting this for US$60 equivalent, I'm sure I wouldn't have even noticed. 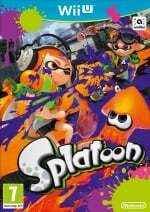 UK getting the squid bundle for the same price as us is kind of salt in the wound. $35 for amiibo. That's $95 to get the whole game (over $100 w/ NY tax). Skyalnders and Disney Infinity starter packs have only been $75, and thats' including a portal in the package. Why not have a $75 game and 3-pack bundle to match those? Nintendo refers to amiibo missions as a "bonus" on their website, but that's just another name for Day 1 DLC, and I'm confident it's on the disc (or in the main game if downloaded). I'm pretty sure locked away paid Day 1 DLC on disc is frowned upon by at least 99% of the gaming community, so it's not just me on this one. 2 levels rotated every 4 hours. We're basically paying $60 to only play 2 levels. How insane is that? The piecemeal nature of this game all summer long. How on time will Nitneod be w/ what they've said? Where are the tournaments and Mii level for SSBU from their "50 things" video almost a year ago? Nintendo doesn't own a calendar. Can Nintendo servers handle the load? I'm not sure those 3 1 hour tests w/ limited weapons is the equivalent of actual online play. My basement is naturally cool, don't need AC down there over the summer. So yeah, I'm buying it, but I wouldn't try to talk anybody else into it until we see how the summer pans out. @Qun_Mang I was thinking more in lines to the roller weapon panel given how infamous it is on the testfire. Saw these at a thread about Splatoon a few days ago, good read. @Qun_Mang well the paintbrush won't be available upon launch either so... i would guess it would be in the same update as control tower. @Tommy_Wiseau My thoughts exactly, put into words. Nintendo is genius. 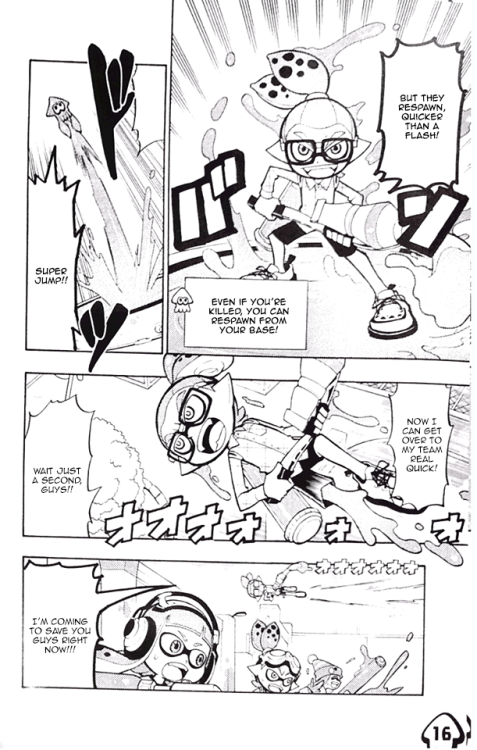 So... corny, I'd like a good Splatoon manga, but I suppose this'll suffice.